ePublishing Knowledge BaseePublishing Knowledge BaseePublishing Knowledge Base Presenting Related Articles, Posts How do I create a dynamic topic-based landing page? A dynamic topic landing page can take different forms, depending on your website's design. Zoom: A dynamic topic landing page can take different forms, depending on your website's design. 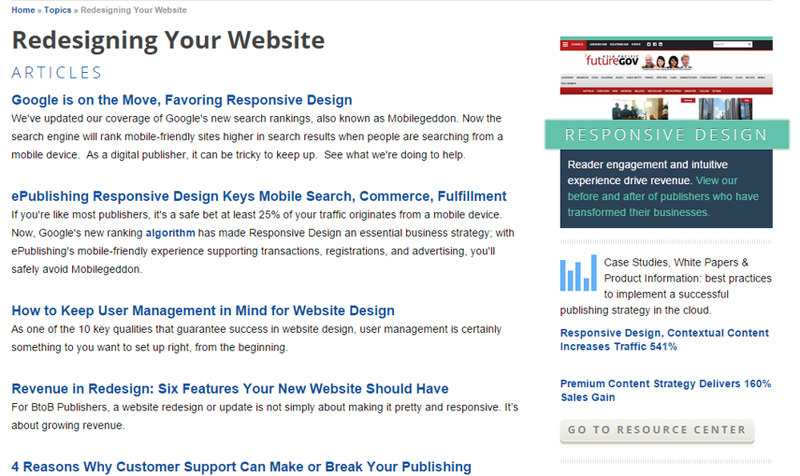 The above example from ePublishing.com shows all articles tagged with the topic "Redesigning Your Website." Or this one from an ePublishing client, which adds context beyond the articles by using an image and additional links at the top. Zoom: Or this one from an ePublishing client, which adds context beyond the articles by using an image and additional links at the top. This shows all articles tagged with the topic "Bakken Shale." 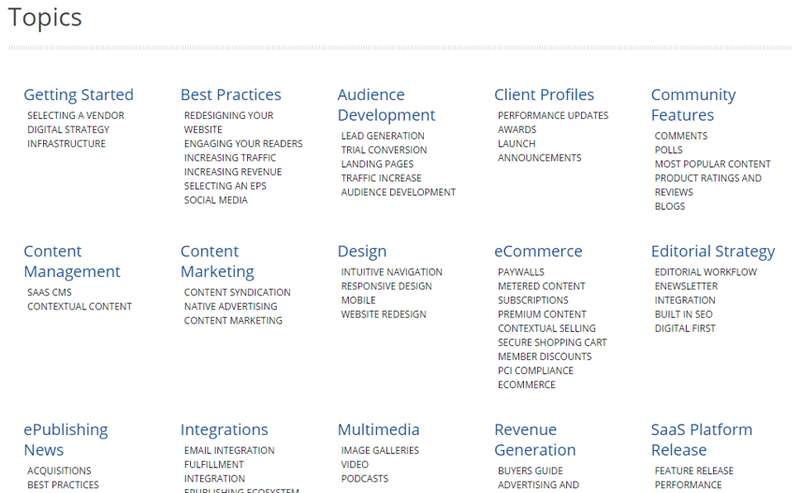 You may also set up a landing page that includes multiple topics. Scroll to the end of this article to learn how to do that. 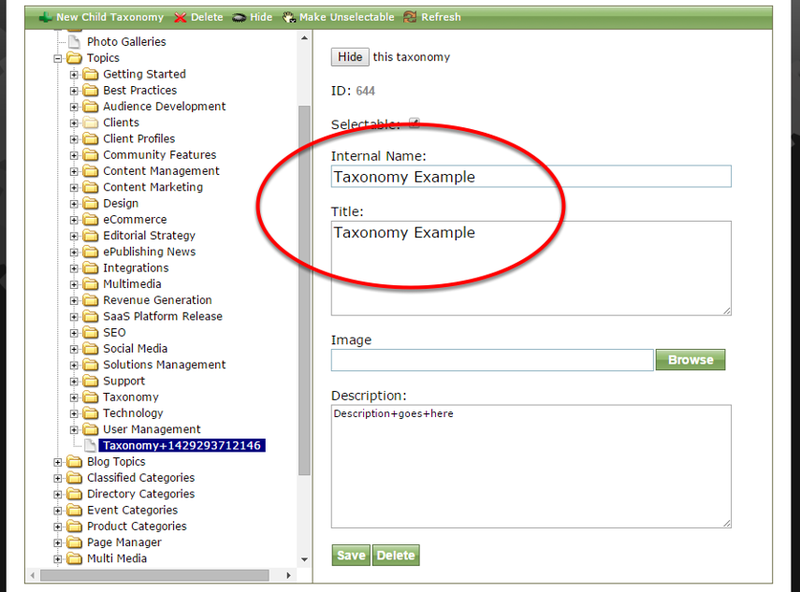 Dynamic single-topic landing pages are created automatically when you add new topics/categories in your Taxonomy Manager. 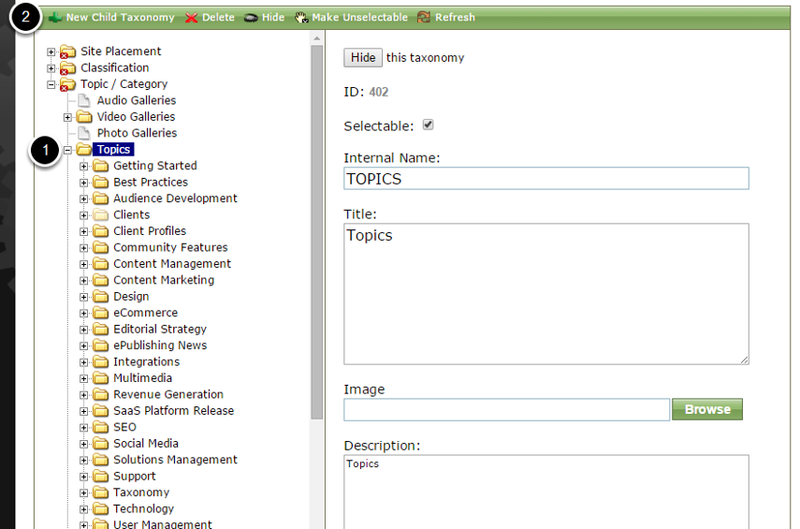 To add a new topic/category within your Taxonomy Manager, select Manage Taxonomy under Editorial in your dashboard. Click on Browse next to Image to add an image that will appear on the top of your page for this topic. 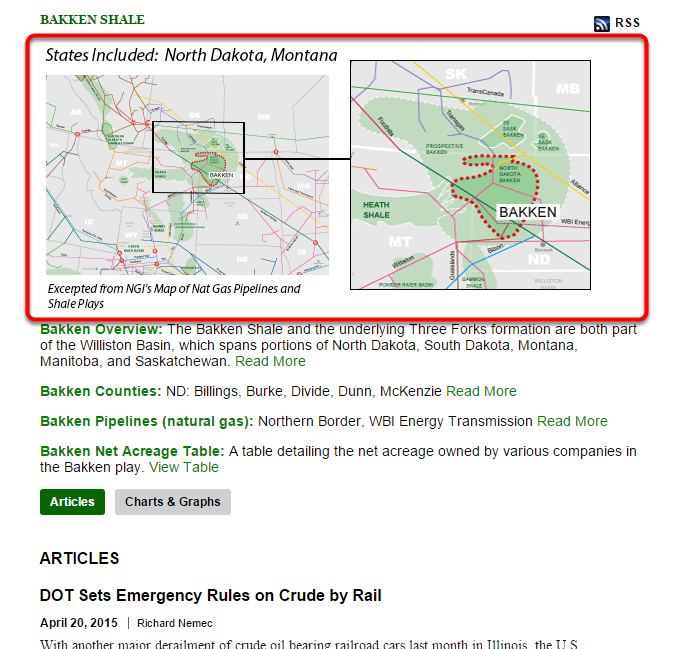 In the case of the Bakken Shale topic page, the publication added an image of a map of the region (marked below). Make sure your topic/category is visible. Click Display after saving if it is not. 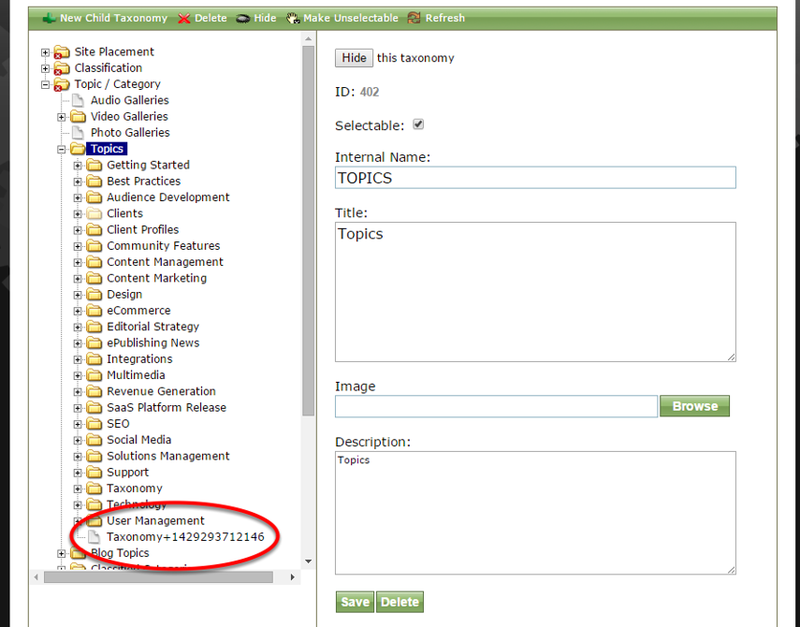 To access your Topic page, use the URL: www.YOURDOMAIN.com/topics and click on your page. 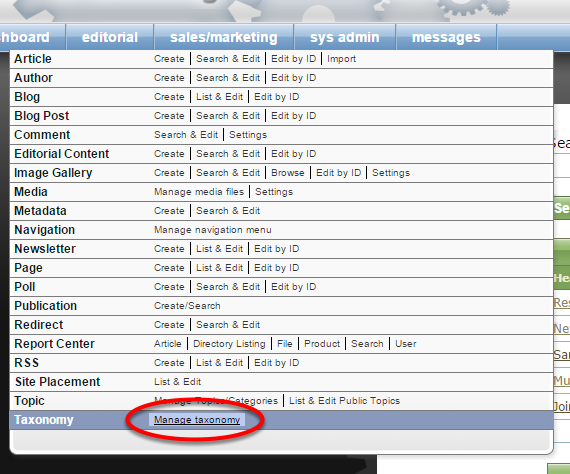 Zoom: To access your Topic page, use the URL: www.YOURDOMAIN.com/topics and click on your page. 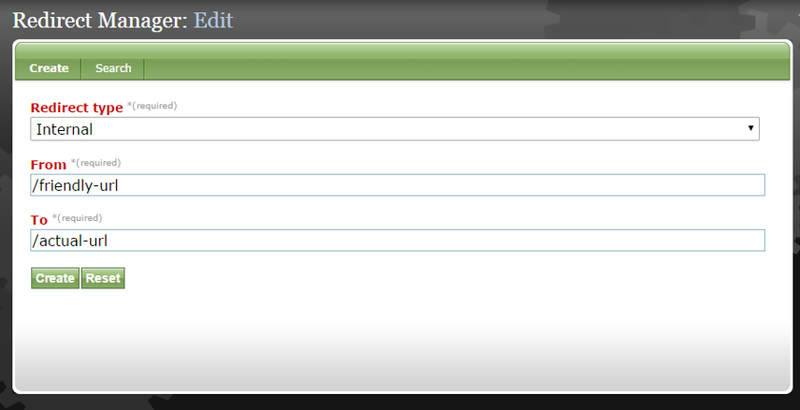 This is an example from ePublishing's website. 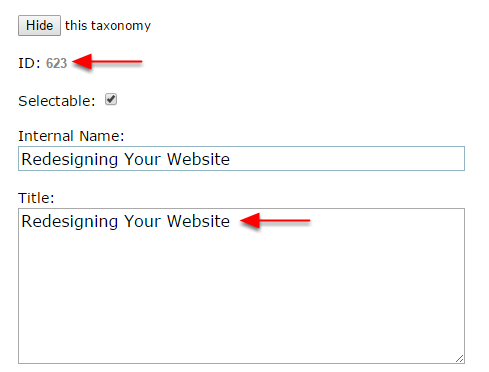 The last part of the URL for the example shown above would be /topics/623-redesigning-your-website. Some ePublishing users set up redirects for topic landing pages. 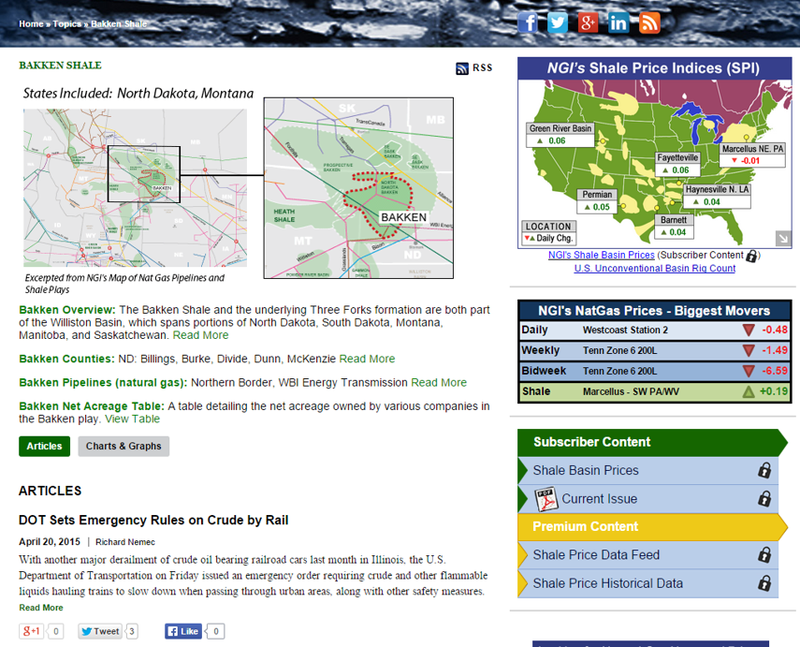 For example, a topic page on the Bakken Shale could be www.domain.com/bakken. Zoom: Some ePublishing users set up redirects for topic landing pages. For example, a topic page on the Bakken Shale could be www.domain.com/bakken. 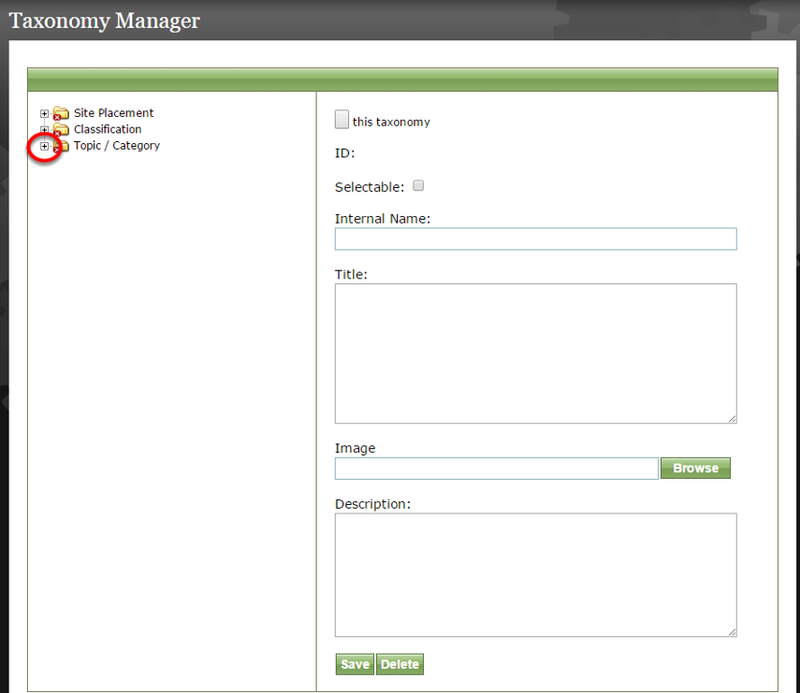 Create redirects in the Redirect Manager. Learn how to here: How do I create a redirect? 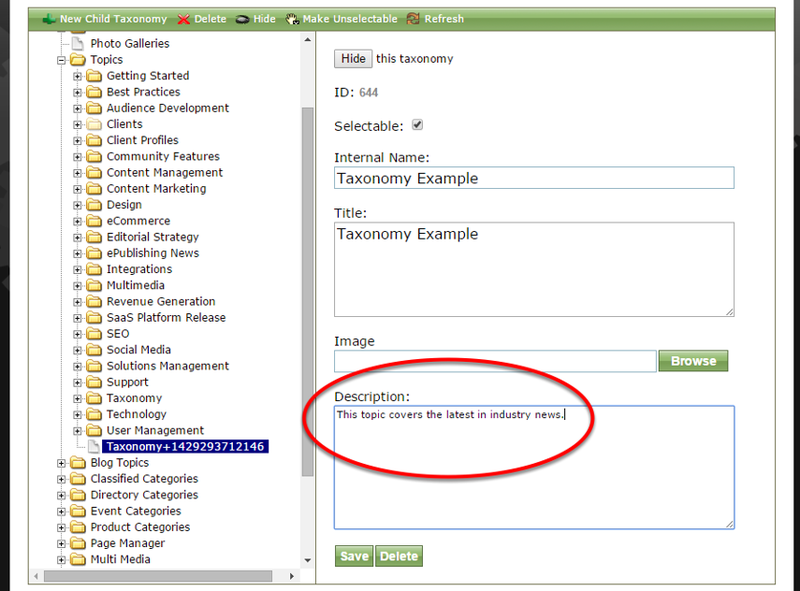 To create a multiple-topic landing page, simply type in your topic IDs from the Taxonomy Manager, separated by a comma. You may then want to set up a redirect to that URL. Prev: How do I create topic links on article pages? Next: How do I present recent articles by an author?